Pitocin is commonly used to induce childbirth or help to move along a labor that has stalled. It can be helpful in reducing cesarean sections often required due to failure to progress. When used according to medical guidelines, pitocin is generally a safe and effective medication. This drug does however, have side effects that can result in harm to the fetus or expectant mother if misused. Knowing these side effects can allow parents to make an informed decision regarding potential use of the drug during labor. Pitocin is used to induce labor for various reasons. A maternal infection or illness may require labor to be started early in an effort to minimize harm to the fetus. It may be employed to encourage labor in the event of deteriorating womb conditions. The decision to use pitocin to begin labor is often due to fetal distress. Whatever the reason for the usage of pitocin, the benefits must be weighed against the potential risks. Pitocin carries a higher than average probability of placental abruption, rupture of the uterus, and premature delivery. With proper medical care, these eventualities can be minimized. However, if medical personnel are unable to timely respond to any possible complications resulting from pitocin use, significant harm may be done to the mother or baby. Dosages of pitocin must be carefully measured and administered. Too much or too little can have drastic consequences. It is vital that the fetus be monitored during and after the use of pitocin. Changes in fetal heartbeat may indicate complications. If this happens, the pitocin should be stopped immediately. Continuing to administer pitocin after a change in fetal heartbeat can result in permanent brain damage or cerebral palsy. When medical personnel make the decision to administer pitocin but fail to properly monitor mother and child, there is potential for medical malpractice. Doctors must abide by a certain standard of care. In order to prove medical malpractice, it must be found that another medical professional faced with an identical situation would have acted in a different manner. It must also be found that the medical malpractice resulted in damages that would not have occurred had the situation been handled in the appropriate manner. Pitocin can be incredibly helpful during labor and delivery. However, when it is used incorrectly or when vital signs and fetal heart rate are not properly monitored, the consequences can be severe. 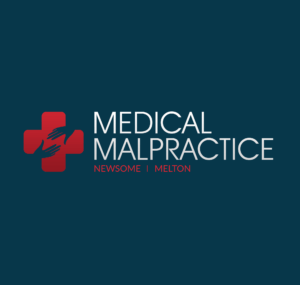 Proving medical malpractice is often difficult and requires the services of a skilled medical malpractice attorney. While pitocin has a rightful place in the medical world, failure to correctly identify and manage its side effects can have devastating consequences and leave the medical professional involved open to a malpractice lawsuit against them.